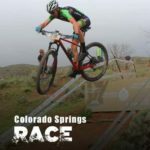 Whether a destination camp that is designed to advance your fitness and skills while covering great routes with hands-on coaching, testing camps to aid in setting parameters so you can measure your success, or private skills camps designed to help you conquer your crux; we’ve got you covered. We want you to have a safe and challenging experience to make memories and have lasting effects on your riding experience. Take a look and if you don’t see what you need, contact me, so we can see if we can answer your need. A group of riders who want to race at local, regional, and national events. Program is limited to 12 athletes. Our mountain bike camps are designed to offer a destination based camp with skill instruction combined with trail riding. Small group dynamic is perfect to aid in developing skills in a supportive environment. Our road camps are designed to bring small group dynamic together to improve your fitness, skill, and motivation with structured training session, group/pack riding all built around exciting routes. Private sessions are offered and designed to fit your unique needs. They are completely customizable, local to me or me come to you, to include general instruction in a 1-on-1 or small group environment (if you rally a group of cohorts) to focus on basic skills like corning, descending, switchbacks, step-ups/downs, climbing, etc. And the great thing is we can session a specific crux, terrain or obstacle that has been troubling you. Events like Leadville, Breck Epic, Dirty Kanza, NUE series, etc. are bucket list events and I fancy myself in dabbling in all that I can so I have better first-hand knowledge to apply the coaching process. Having a hands-on coach to break down and preview the course can be invaluable. Each is completely customizable. I’m currently the head coach and co-founder of the Summit COS Chapter. This group of advancing Juniors meets for weekly practice in the Spring.